Yesterday U.S. News released its annual college rankings, and I summarized an alternative model utilized by the magazine Washington Monthly. While U.S. News continues to rely on factors like reputation, entrance exam scores, and alumni giving (and, as its growing chorus of critics complains, on data supplied by the colleges themselves — data already manipulated by schools looking to improve their rank), Washington Monthly considered criteria that measure school’s contributions to research, service, and recruiting and graduating lower-income students. Given those factors, I wondered if Christian colleges and universities were prone to do better with Washington Monthly‘s methodology than U.S. News’. First, one often hears within the Christian college world that our religious identifier automatically costs points on the reputation element (which constitutes fully 25% of the score for the regional universities and colleges that dominate groups like the Council for Christian Colleges and Universities). 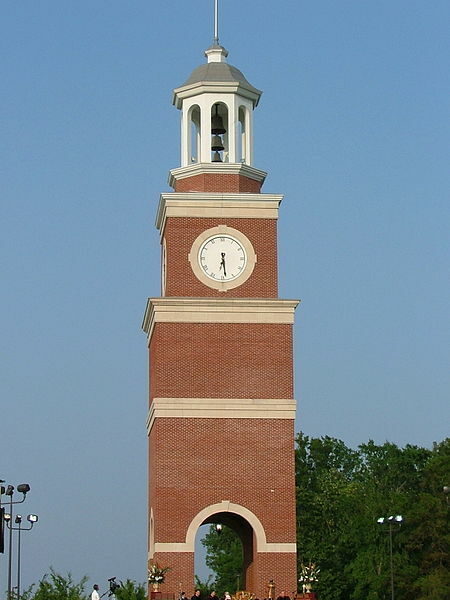 The suspicion being that there are more than a few secular college presidents, provosts, and other administrators filling out USN surveys who find, say, Bethel University’s commitment to “truth-seeking” and “learning” on one hand and “Christ-following” on the other to be irreconcilable. Then one might expect that a religious tradition that teaches love for neighbor in the same breath as love for God would be especially likely to prize service to others; and perhaps Paul’s description of Christian community transcending social and economic difference (“neither slave nor free“) and the Bible’s repeated injunctions to give special care to the poor would conduce to the benefit of lower-income students. At the same time, I’m sure many outside the Church would assume that Christian colleges would score poorly on the research front, given the historic anti-intellectualism running to some degree or another through all Christian traditions. Trinity International University: How does a school that can’t even crack U.S. News’ top tier leap past half the Big Ten, not to mention Emory, Georgetown, NYU, and one of the vaunted Ivies (Brown)? Certainly not on research, where this Evangelical Free school is at or near the bottom on every criterion used. And it’s only mediocre on Washington Monthly‘s social mobility score, though it has a relatively reasonable total cost for a private school (less than $18,000), and 46% of its students receive Pell Grants. But what boosts Trinity International into the upper echelons of America’s most competitive higher ed category is commitment to service: as measured by WM, TIU is #11 in a category that awards points to having staff, courses, and scholarships linked closely to service, and #33 in community service participation. Westmont College: While this non-denominational college in Santa Barbara, California cracks the USN top 100 for its category (and does even better — top 80 — among the high school guidance counselors whose opinion helps shape the reputation score), it suffers on several counts in the WM system. It actually graduates more of its low-income students than might be expected, but sticker shock (it’s over $30,000 on net cost) pushes it down into the bottom 20% of National Liberal Arts Colleges on social mobility. It’s also nearing the bottom on work-study funds being used for service, and it’s middling on most all other counts (except ROTC participation). Bethel, George Fox, and Seattle Pacific: In the research and service categories, these three schools are generally in the top 25-30%. Only George Fox falls below the 50th percentile on any single category (ROTC participation), but it’s in the top 10% for sending its alumni on to earn doctorates. Adjusted for size of student body, Seattle Pacific sends more graduates into the Peace Corps than all but nine other master’s universities. Social mobility is what does them in: out of 682 schools ranked in this category by Washington Monthly, George Fox, Seattle Pacific, and my employer rank 438, 496, and 499, respectively. It’s somewhat baffling, given that all three do a credible job of attracting lower-income students (Bethel is lowest, with 27% of its students receiving Pell Grants, but that’s almost twice the percentage of the highest-ranked school in this category, Trinity of Texas) and graduate them at better-than-expected rates (George Fox is lowest, at 67%, but that’s against a predicted rate of 61% and it exceeds half the schools in the overall top ten for master’s level universities). All, however, have a net cost of just under $23,000. Tellingly, in the 2011 edition of Washington Monthly‘s college ratings — in which cost was not a factor — Bethel (#17 in the Midwest) and Seattle Pacific (#22 in the West) did vastly better, in large part because both scored in the 85th percentile for social mobility. So is it fair to adjust for cost? Perhaps the growing specter of an educational debt bubble bursting make it reasonable to reward schools who give lower-income students a good chance at completing a college education without taking on the risk of substantial debt. Problem is, of course, that this measure treats all college educations as equivalent: completing a rigorous one is no more valuable than completing one that does far less to promote learning. Catholic and evangelical universities actually do better with the U.S. News system: Georgetown University joins Notre Dame in the top echelon of national universities (it’s seen as overpriced by Washington Monthly); Catholic schools are even more dominant in USN’s Regional University category (20 make the top 10% region by region) than in its WM equivalent (13); and while Northwest Nazarene drops out in that category for USN, Point Loma Nazarene takes its place, and is joined by fellow CCCU members Seattle Pacific, Union, and Whitworth. But what of Culver-Stockton (#34 in U.S. News’ Midwest region) or Warner Pacific (#20/West), or Vanguard, which is in USN‘s top 10 for its (relatively weak) region but was judged to be in “profound crisis” as recently as a 2008 accreditation visit? Culver-Stockton (#20 among all baccalaureate colleges, #7 in the Midwest region) only stands out in one category (#16 in spending work-study funds on service), but isn’t particularly weak in anything either. Warner Pacific (#26 overall, which puts it 2nd highest in the West region for Washington Monthly) is #12 in social mobility (according to this model, more than twice as many of its lower-income students graduate than are expected to) and supports community service well, though it sends few students to doctoral programs and (like a large number of the schools in this category) has seemingly no relationship to ROTC. One spot behind it is fellow West Coast school Vanguard, which is #3 in social mobility and offers a net cost of just over $3000 (and yet still reports spending $320,000 on research — good enough for #21 in this group of schools). Very interesting. I’ve also wondered how Seminaries are ranked. I recently looked at a graduate school magazine (I think US News) that didn’t even list Seminaries in their rankings.